Donald Trump had won the presidency a year earlier. Alt-right golden boy Richard Spencer was on a cross-country college speaking tour. Then, the violence broke out at the rally in Charlottesville, Virginia, and what looked to be the first step in the national racist movement turned into a disaster for many of the key players. Some are still pushing their issues a year later, while others have faded from the public eye. Jason Kessler: The organizer of the Unite the Right rally in Charlottesville is still living in his hometown of 48,000 people, although he has become a social pariah. In the year since Unite the Right, Kessler has dropped a lawsuit against Charlottesville officials over their denial of a permit for a 2018 rally, is defending himself in a lawsuit brought by business owners and has reached a legal agreement not to take part in any armed protests in the city. He’s organized a Unite the Right 2 rally for August 12 in Washington, D.C. Kessler is also attempting to rebrand himself not as “alt-right,” but as a “white civil rights” activist. Richard Spencer: The head of the National Policy Institute, Spencer was a high-profile speaker at Unite the Right in 2017. Since then, Spencer has embarked on and abruptly ended an ill-received tour of colleges. He ended the tour — and the accompanying legal fights to gain access to college campuses — in March, not long after a disastrous appearance at Michigan State University in East Lansing, Michigan. Fights between Spencer supporters and counter-protesters broke out in the street near the agricultural arena where Spencer spoke, and few people actually attended his appearance. Spencer has said several times he had no interest in returning to Charlottesville for an anniversary rally. Spencer has kept a low public profile outside of tweeting since abandoning the college tour. He’s also a defendant in a civil lawsuit stemming from the 2017 rally in Charlottesville. Michael “Enoch” Peinovich: Peinovich, the podcaster behind the white supremacist website “The Right Stuff,” has continued with his online broadcast. He also nearly ran afoul of a federal judge in the civil lawsuit stemming from the first Unite the Right rally. Peinovich had been telling the judge he was representing himself. Later, Peinovich admitted he had been consulting with an attorney, who assisted him with the filings. A judge has since dismissed Peinovich from the lawsuit, although there’s an ongoing dispute over a subpoena for some of the podcaster’s documents. League of the South: The Alabama-based neo-Confederate League of the South marched through downtown Charlottesville, creating a stir during Unite the Right. Since then, the group publicly declared it wouldn’t return to Charlottesville for a second rally. In March, the group made a return to Charlottesville mostly legally impossible. They reached a consent decree with the city barring members from returning to Charlottesville for armed, organized protests. 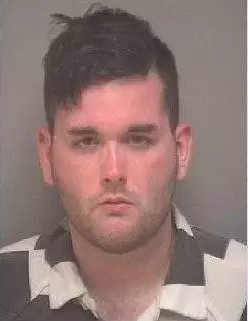 James Alex Fields Jr., a 21-year-old from Maumee, Ohio, is charged with first-degree murder in Virginia as well as federal hate crimes. Officials say Fields rammed his car into a crowd during "Unite the Right" on August 11, 2017 in Charlottesville, Virginia. A 32-year-old paralegal, Heather Heyer, died during the incident. James Alex Fields, Jr.: Fields, a 21-year-old from Maumee, Ohio, arrived in Charlottesville to take part in Unite the Right. Before the day was over, police would arrest Fields and charge him with first-degree murder. Officers say Fields drove his car into a crowd of counter-protesters on a narrow street near downtown Charlottesville. Heather Heyer, a 32-year-old paralegal, died in the collision. Fields also faces more than two dozen federal hate crime charges stemming from the incident. Fields is currently in the Albermarle County Jail awaiting trial in December on the state murder charges. Christopher Cantwell: Dubbed “The Crying Nazi” after a tearful video he posted following the rally, Cantwell spent time in the Albermarle County Jail in Charlottesville before being released on bond. He reached a plea agreement in July that bars him from returning to Virginia for five years. Cantwell still runs his podcast “Radical Agenda” and publicly split with Kessler, saying he wouldn’t attend any more rallies organized by him. Cantwell is also a defendant in a civil lawsuit stemming from the 2017 rally and has sued two activists in Charlottesville over comments they made online about him. “Krystal.Night”: The real name of this user of the site “Discord” is unknown. But according to court documents, “Krystal.Night” helped plan Unite the Right. Plaintiffs in a lawsuit against participants in the rally subpoenaed Discord for the identity of and information about “Krystal.Night.” A judge ruled on August 7 that Discord must disclose the identity of the person to the plaintiffs. David Duke: The former grand wizard of the Ku Klux Klan, Duke has kept a high profile online since Unite the Right. He runs a radio show, sells merchandise and books from his website and turns up as a speaker at racist rallies. The League of the South honored Duke in the spring for his 50 years of work in the racist movement. Duke still lives outside of New Orleans and makes regular appearances on the racist circuit. According to Kessler's deposition in a Charlottesville lawsuit, Duke is listed as an expected speaker at this weekend's Unite the Right 2 rally. Vanguard America: This racist alt-right group helped Jason Kessler organize the Unite the Right rally, but don’t appear to be involved with Kessler’s second effort in Washington, D.C. Vanguard America, a neo-Nazi group, rose into the headlines at “Unite the Right” after photos of 21-year-old James Alex Fields appeared showing him with members of the group. Officials say he ran his car into a group of counter-protesters, killing 32-year-old Heather Heyer. Since Unite the Right, Vanguard America has been relatively quiet. One of its leaders at the time, Thomas Rousseau, split from the organization to found the highly active Texas-based Patriot Front. Patriot Front has succeeded where other fascist groups have failed since the violence in Charlottesville, and have staged successful flash demonstrations, flyerings and banner drops. In July, members violently confronted and vandalized an encampment where activists were protesting the Immigration Customs Enforcement agency in San Antonio. 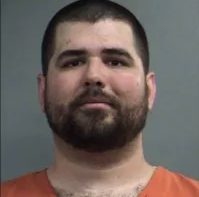 Former Traditionalist Worker Party chief Matthew Heimbach has kept a low public profile since being released from jail in Louisville, Kentucky, in June. Heimbach is among several major players from the "Unite the Right" rally in August 2017 to fade from the public eye in the year since the gathering turned deadly. Matthew Heimbach: Heimbach, the head of the neo-Nazi Traditionalist Worker Party, has had a rough year since 2017's Unite the Right. Heimbach was once seen as the youthful face of the white supremacist movement. After a strange family affair involving Heimbach and his chief spokesman’s wife in southern Indiana, Heimbach was arrested. He would later plead no contest and serve 38 days in jail for violating previous terms of probation in Louisville, Kentucky. He was released in June and has kept a low public profile since. Matt Parrott: At the time of Unite the Right, Parrott served as the chief spokesman for the Traditionalist Worker Party and primary benefactor for the group’s head, Matthew Heimbach. After Heimbach’s arrest and the revelation of his affair with Parrott’s wife, Parrott walked away from the group and political activism generally. He’s mostly remained out of the public eye since March. Traditionalist Worker Party: The organization imploded after leader Matthew Heimbach was arrested in March and chief benefactor Matt Parrott chose to walk away from political activity shortly thereafter. It no longer has a website or online presence. Augustus Sol Invictus: Invictus, whose former name is Austin Gillespie, briefly ran for a U.S. Senate seat in Florida before dropping out in December, having raised little money and gained almost no traction. Invictus solidified his ties to Spencer’s alt-right in-group in October, when he joined the board of directors for the Foundation for the Marketplace of Ideas (FMI), an organization run by white supremacist lawyer Kyle Bristow. That group fell apart in March when Bristow resigned and dropped out of public political activism. SPLC-designated hate group American Guard publicly ejected Invictus from their group with an announcement calling him too extreme, citing his "poisonous ideas" and calling him "a discredit to himself." He also left his leadership position in the Fraternal Order of Alt-Knights (FOAK) after a spat with FOAK leader Kyle Chapman on social media. Fraternal Order of Alt-Knights: At the time of last year's Unite the Right rally Invictus was a leader in FOAK, and the group soon began collaborating with Gavin McInnes' Proud Boys. McInnes dubbed FOAK the "tactical defense arm" of his group of "Western chauvinists." Other members of FOAK acted as security at the Unite the Right. A Boston rally previously scheduled for a week after Unite the Right had Invictus and McInnes as headliners. McInnes bowed out and Invictus was dropped from the lineup because of his ties to the disastrous Unite the Right rally. The Boston rally was overwhelmed by 30,000 counter protesters outraged by the events in Charlottesville. FOAK is now defunct, but many of its members still attend rallies across the country, and McInnes' Proud Boys have been at the forefront of street rallies that have descended into violence in 2018. Nathan Damigo: The founder of Identity Evropa, Damigo is a disgraced ex-Marine with a penchant for violence. He was once videotaped falcon-punching a small woman in the face. In August 2017, just after the Unite the Right rally, Damigo left the group he founded. He’s kept a low public profile since leaving Identity Evropa, but is a defendant in a federal civil lawsuit stemming from the rally. Identity Evropa: The leadership of Identity Evropa has undergone some shakeups since the deadly 2017 rally. The group’s founder, Nathan Damigo, walked away last fall and turned things over to Elliot Kline, aka Eli Mosley. Mosley’s reign lasted only a few months. He drifted out of the public eye starting in February, when the New York Times published a story questioning his claims of service in Iraq. Kline is also a defendant in the civil lawsuit stemming from the 2017 rally and recently lost his attorneys because he has declined to communicate with them. Patrick Casey, the group’s current leader, has led a series of events in which the group has dropped banners across bridges and put fliers up on college campuses and around towns. National Socialist Movement: One of the longer-standing groups to take part in Unite the Right, the National Socialist Movement and its leader, Jeff Schoep, have made a few public appearances since Unite the Right. Among those were at a racist rally in Shelbyville, Tennessee, in October. But mostly, the group has stayed away from large-scale events since “Unite the Right” and reached a deal with the city of Charlottesville not to take part in any future organized armed protests there. Both are named as defendants in the federal civil lawsuit stemming from the August 2017 rally.